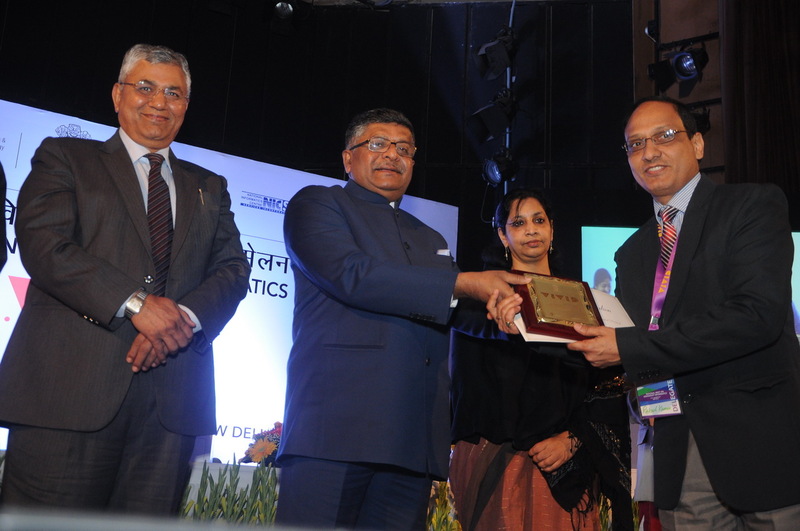 Shri Ravi Shankar Prasad, Honorable Union Minister for Information Technology, Law and Justice awarded the appreciation certificate and memento to Sh. Rakesh Kumar, District Informatics Officer, Bilaspur, NIC Himachal Pradesh, during the National Grass-root Informatics meet, on 19th January 2017 in New Delhi for his exemplary services towards Digital Payment initiatives. Sh. P.P. Chaudhary, Union Minister of State for IT, Law and Justice, Ms. Aruna Sundarajan, Secretary, MeitY, Dr. Ajay Kumar, Additional Secretary, MeitY, Dr. Neeta Verma, Director General, NIC, SIO/ASIOs of State Centres and DIOs/ADIOs from all over the country were present during the three-day National meet held from 19-21 January 2017. .
Two papers authored by NIC Himachal Pradesh officers have been published in the Compendium of Selected Papers of 20th National e-Governance Conference for the year 2016-17. One of the paper has been selected as best paper and published at serial number 1 and another paper has been published at serial number 3 in the compendium of selected 10 papers out of all received entries for papers. 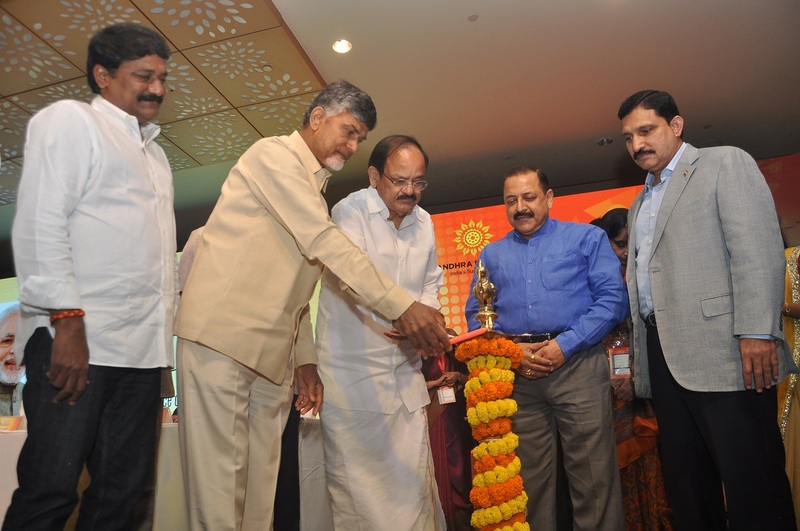 National Conference on e-Governance has been organized by the Department of Administrative Reforms & Public Grievances (DARPG), Government of India every year and 20th edition of the Conference was held at Visakhapatnam in Andhra Pradesh during 9th and 10th January, 2017. Hon'ble Chief Minister of Andhra Pradesh Shri Nara Chander Babu Naidu released the book titled Compendium of Selected Papers in the august presence of Hon'ble Union Minister for Urban Development & Poverty Alleviation and Information & Broadcasting Shri M. Venkatiya Naidu, Hon'ble Union Minister of State for Administrative Reforms & Public Grievances Shri Jitender Singh, Hon'ble Union Minister of State for Science & Technology and Earth Sciences Shri Y. S. Chowdary during the inaugural session of the Conference. 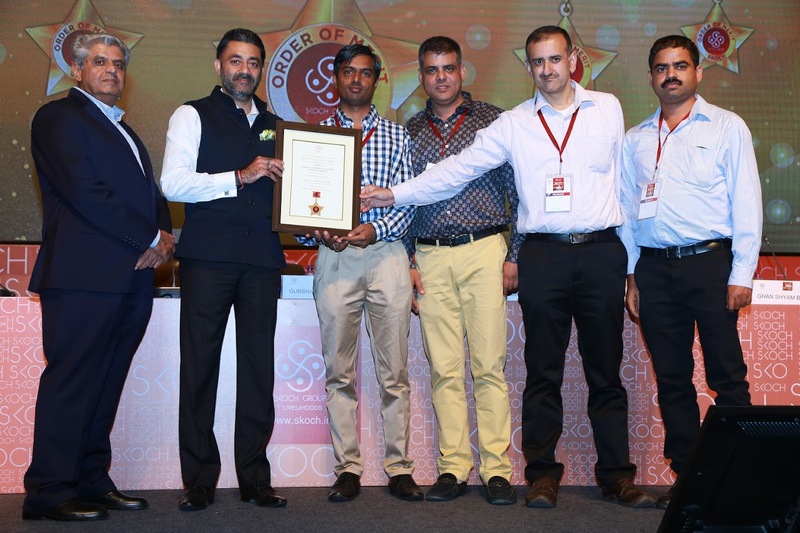 The Mid Day Meal mobile App of NIC Himachal Pradesh has been awarded the Digital India Gold Award 2016 on 19th December 2016 during the presentation ceremony of the Awards at Vigyan Bhawan, New Delhi. Sh. Ravi Shankar Prasad, Hon’ble Union Minister for Electronics and Information Technology, Law and Justice conferred these awards in the presence of Sh. P.P. Chaudhary, Hon’ble Minister of State, Electronics and IT, Law and Justice. Ms. Aruna Sundarajan, Secretary, MeitY, Dr. Chinadram, Principal Scientific Advisor to GoI, Dr. Ajay Kumar, Additional Secretary, MeitY and Ms. Neeta Verma, Director General NIC were the guests of honour. The award was received by the Principal Secretary (IT), HP Government, Director of Elementary Education, HP and NIC Himachal Pradesh team led by the SIO. The team members of the MDM mobile app are Sh. Manmohan Sharma, Sh. Ashish Kohli, Sh. Naresh Sharma, Sh. Ajay Singh Chahal, Sh. Lalit Kapoor, Sh. Sandeep Sood, Sh. Sanjay Kumar, Sh. Sanjay Sharma, Sh. Sandeep Kumar, Sh. Ashish Sharma, Sh. CL Kashyap, Sh. Sarvjeet Kumar and Sh. Amit Kanojia. Mid-Day Meal mobile app is meant for effective reporting and monitoring of daily and monthly mid-day meal data to be sent by the schools. The app provides additional data communication mechanism for the MDM in-charge/teacher who has to send the daily/monthly data using SMS. The app, once installed on android device, does not need Internet to send MDM figures as user has option to send the figure through SMS from the app. This simplifies the job of MDM in-charge, who even does not have to remember the SMS formats. The higher authorities at Block, District and State level have a very simple and effective mechanism in shape of this app on their mobile devices for effective and efficient monitoring of daily as well as monthly data transmission by all the MDM in-charge falling under their jurisdiction. The monitoring authorities can send SMS alerts to all defaulters using single button available in the app. This is a Single Android Mobile App for all States/UTs, is multi-lingual and it works offline too. Presently, 7 States/UTs of Himachal Pradesh, Rajasthan, Haryana, Uttrakhand, Mizoram, Chandigarh, Daman & Diu are using it and Madhya Pradesh, Meghalaya, Kerala, Dadar and Nagar, Haveli are on board the software. 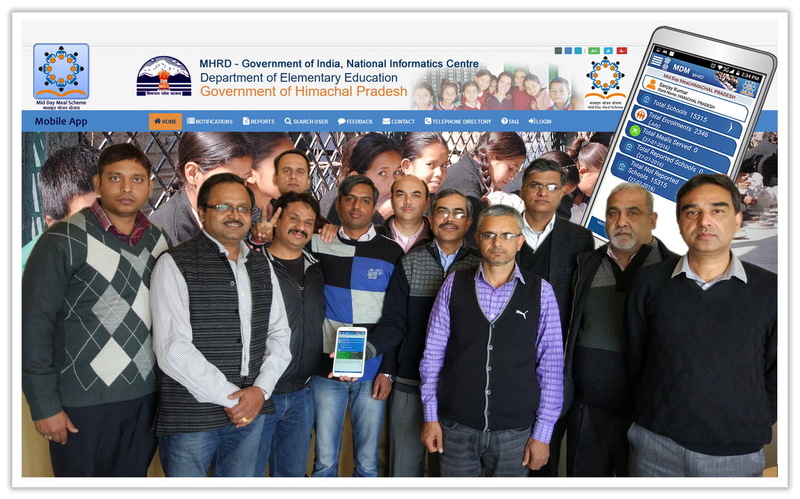 The MDM ARMS software is available at http://mdmhp.nic.in The Mid Day Meal mobile app supplements the MIS software MDM Automated Reporting and Management System-MDM ARMS, which has also been developed by the NIC Himachal Pradesh as a product and can be used by any State Government desirous of using the SMS mode as the primary mode of data collection for mid day meals served to the students in the schools. 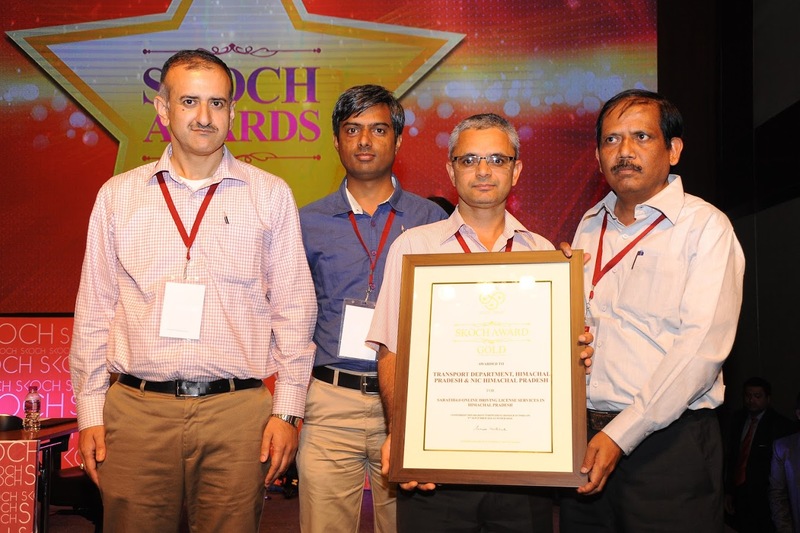 Sarathi - Online Driving License System project of NIC has won Skoch Smart Governance Gold Award 2016. 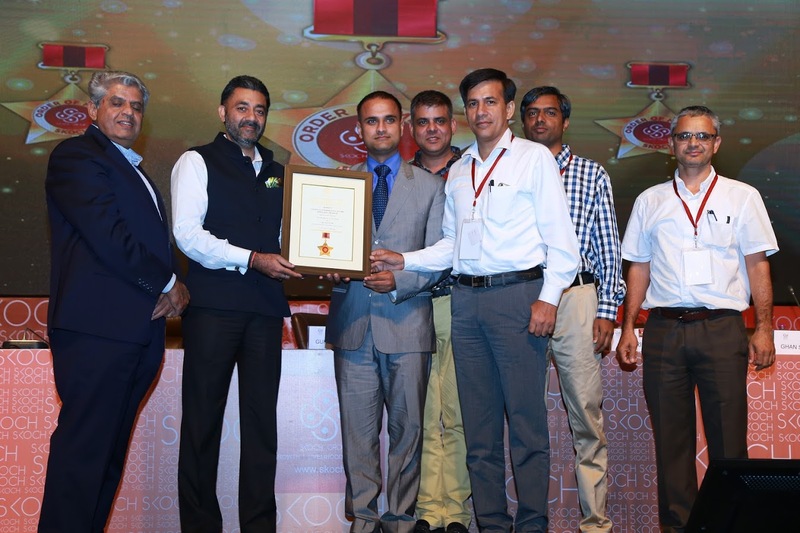 The Award has been conferred on 9th September, 2016 by Skoch Foundation during 45th Skoch Summit on 8th & 9th September 2016 at Hyderabad International Convention Centre, Hyderabad. The Sarathi 4.0 software has been developed by NIC team and Himachal Pradesh is first State to implement the software in all Registration and Licensing Authorities of the State and other States of India are following its implementation. 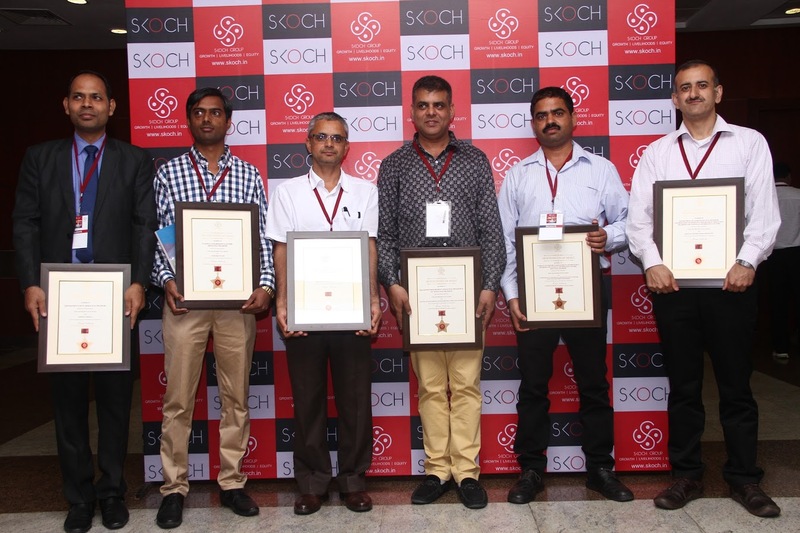 A total of 14 Projects of NIC Himachal Pradesh have received the Skoch Order of Merit on 8th September 2016 in Hyderabad during the 45th Skoch Summit and this has been possible, because following projects have been initiated and implemented under distinctive leadership and guidance of Shri Ajay Singh Chahal, Senior Technical Director & State Informatics Officer, NIC Himachal Pradesh. 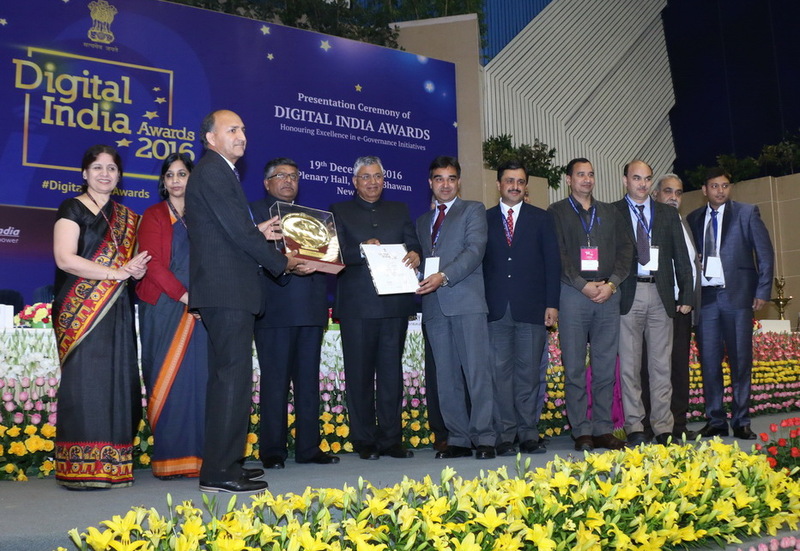 The NIC HP Team has won a number of awards over the years for their best ICT initiatives and this has been possible with the active involvement of all NIC Himachal Pradesh officers at all levels.